The single-seater aeroplane, nicknamed “Maxwell” after 19th century electromagnetism pioneer James Clerk Maxwell, will demonstrate key engineering ideas that could be incorporated into the more ambitious carbon-free planes of the future. Chief among the X-57's innovations is the propulsion system, which consists of fourteen electric motors positioned across a strikingly thin wing. The motors will be powered by batteries that can be charged on the ground using solar cells, the Wall Street Journal reports. While all fourteen motors will be used during takeoff and landing, only two—the larger motors positioned on each wing tip—are needed to keep the plane at cruising altitudes for short jaunts of up to 100 miles. The hope is that by distributing electric power across the wing, the plane will cut the energy needed to cruise at up to 175 mph by a factor of five. NASA has a four year timeline for the X-57, which could be followed by a series of five larger electric fliers capable of holding more passengers and cargo, the Washington Post reports. Engineers and hobbyists have been tinkering with electric aviation for years, but the idea has gained some real momentum recently, with companies like Boeing and Airbus launching dedicated research programs into hybrid-electric and electric propulsion. The futuristic dream everybody’s chasing is an alternative to the roaring, fuel-guzzling commercial jets of today, which constitute a significant and fast-growing source of carbon pollution. Will NASA joining the electric plane race speed us toward the cleaner and quieter future? It’s too early to say, but it’s worth noting that the X-planes—a collection of experimental planes, missiles, and even spacecraft developed by the US Air Force and NASA over the past 70 years—have made history before. 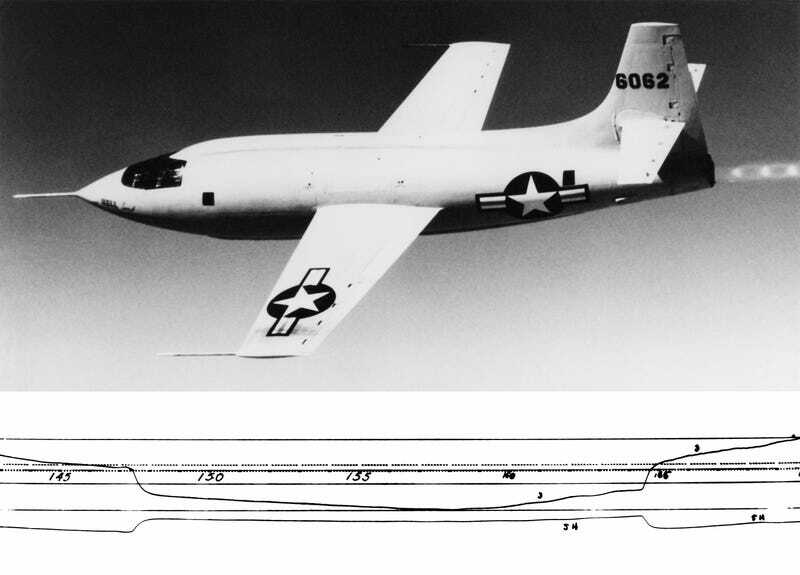 The X-1 flown by Air Force captain Chuck Yeager in 1947 was the first plane to break the sound barrier, ushering in a new age of supersonic flight. The X-15 rocket plane, which flew beyond the edge of space on numerous occasions between 1959 and 1968, pioneered designs and operational procedures that contributed to the Apollo program. The X-plane program has even overseen the design of a nuclear-powered jet aircraft, although that technology never became airborne.